Fresa needs to be on your list next time you head to the state’s capitol city. Surrounded by a sweltering state known for its staunch conservatism, Austin is an oasis. It’s home to the University of Texas, which continuously fosters a well-educated youth culture who have been funneling their collective creative energy into building a vibrant music, film, and technology scene for decades. Austinites are curious, creative, off the cuff, and have a taste for experimentation that borders on the delirious. All of this is reflected in their food—from traditional barbecue to out of this world ramen. They have more food trucks per capita here than anywhere else in the country, and this has given entrepreneurs and innovative chefs the financial and creative freedom to venture off the map and into uncharted territories. Austin is hip, happening, and has been for quite some time. Years ago, I met Chefs Rene Ortiz and Laura Sawicki when they opened La Condesa and then Sway. We’ve stayed friends, so last time I was in town I went to check out their new project called Fresa. 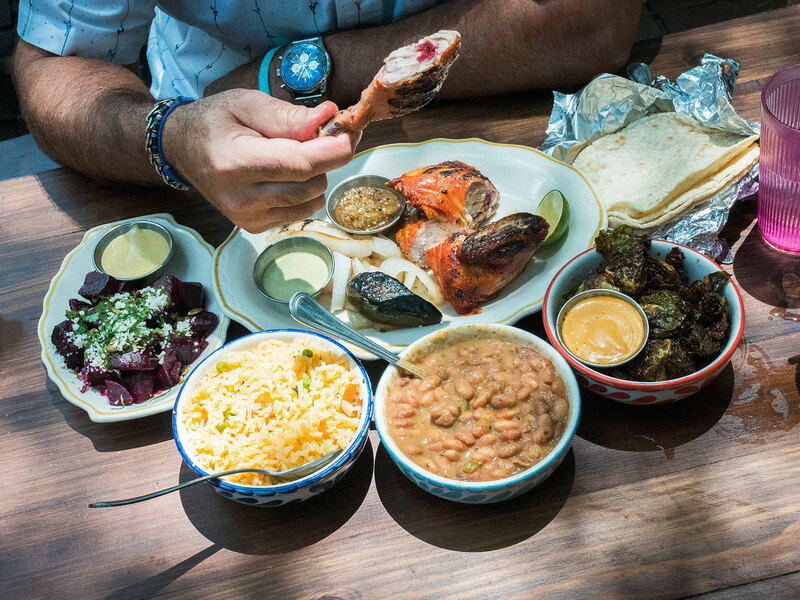 At this restaurant (they have two locations now), they’ve partnered with Stubb’s Creative Director Margaret Vera on a dine-in and take-out spot centered on a divine Chicken al Carbon. Their walk-up window offers one of the best breakfast tacos in town, the Tricky Taco, filled with migas, avocado and queso fresco. It’s a great way to start the day, and a perfect stop for any early birds. I’m more of a lunch guy so I headed over about noon, sat in the lovely tree covered garden and devoured some of the best food in town. Simple and unpretentious,but with a masterful touch. 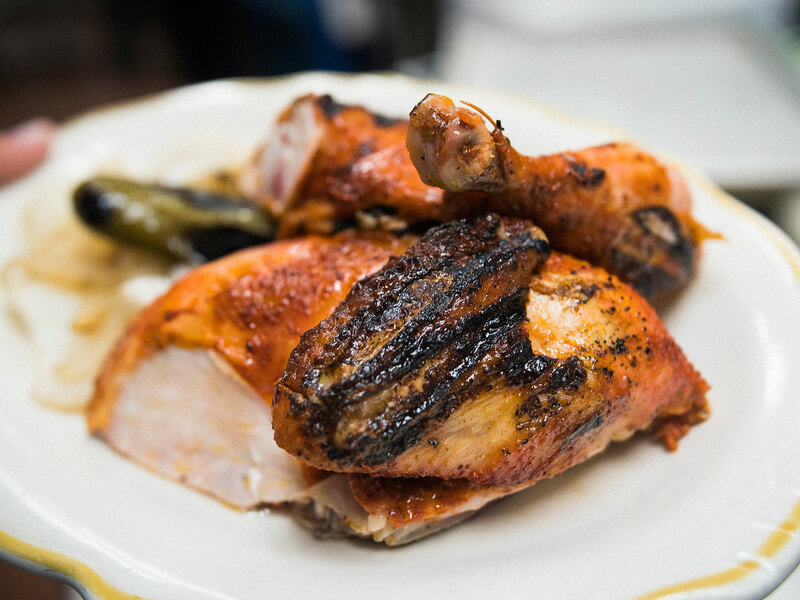 The chicken is uniquely brined and slowly cooked before getting a final char over live charcoal, so you get many flavors and textures all at the same time. The traditional sides are all available, but the side dish showstopper are thehumble beans that explode with flavor and a nuanced mouth feel the moment you tuck into the bowl. I ate beans in half a dozen restaurants on that last trip to Texas, and never found any that came close to Fresa’s. 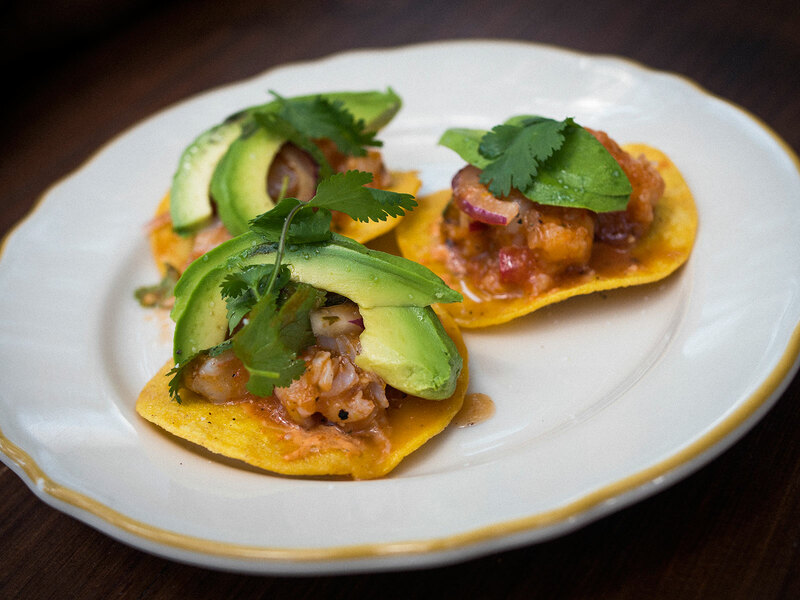 Speaking of which, there is the shrimp tostada, which like the chicken looks simple and downright ordinary despite its charming beauty, until you try it. The shrimp lit up like a grapefruit and citrus firecracker in my mouth, the chiles and avocado the perfect foil and the crisp tostada stayed that way without breaking each time I bit into it. I love citrus cured or marinated shrimp and the grapefruit flavor represented insanely smart cooking. Laura’s desserts are something of a legend in these parts (I love to get all Texan when I write about it), as well as from coast to coast within the culinary community. Rene and Laura simply have an immense skill set that doesn’t get enough national recognition in my opinion. 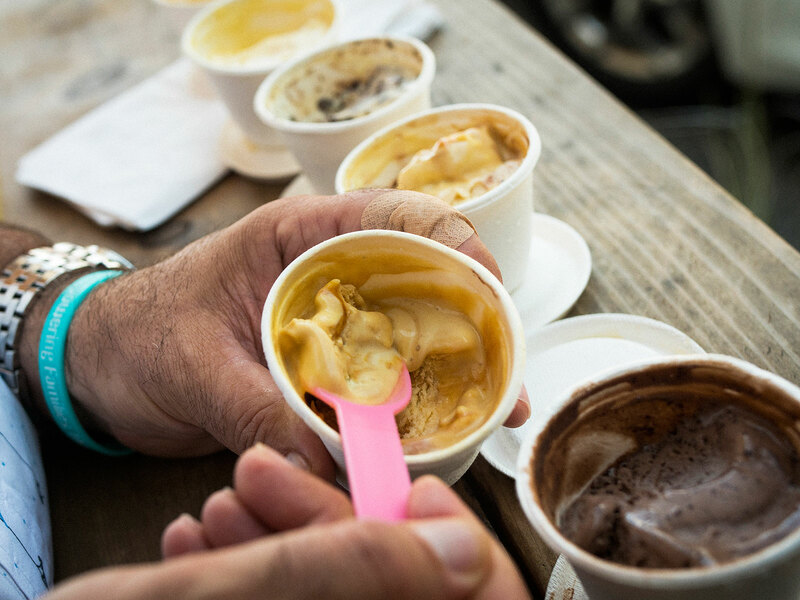 The ice cream window features all of Laura’s fun and fantastic flavors, but it’s the dense and super dairy flavor base that makes choosing easy. Get one of everything, which I did. And Laura was right when she told me that the cookies and cream, loaded with fresh chocolate wafer cookie crumbles was the way to go. I loved it, and all seven of the others I tried on that hot Texas day.